Is this your company? If so please email us. The American Cultural Association is the non-profit organisation who runs the American Language Centers (ALC) in Morocco. There are currently 11 ALCs around the country and the ACA employs more than 300 teachers and approximately 200 support staff. It was founded in the 1950s by the United States embassy with the goal of teaching English as foreign language. It separated into its own independent organisation in the 1970s. 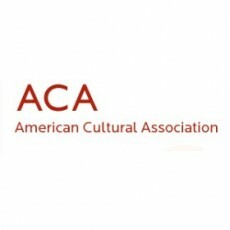 The careers page for the American Cultural Association can be found here. The email address used for applying to jobs depends on which center you are applying to. Contact information for all the centers can be found here. Good reviews are really useful and we take them seriously. We ask a lot of questions to make sure, that they provide a well-rounded picture. You can post a review anonymously but we do ask for emails (won't be shown), in case we need to get in touch to clear up spelling, unclear answers etc. Most importantly, thanks for writing one! A well written review is often the best advice another teacher can have. Your email will never be shared and we'll only ever use it if we need to get in touch to clarify something about your review. Teach English in Casablanca or Rabat, Morocco!